Not many artists in the world have the capacity to handle tradition and contemporary trends in a way that is celebratory of both categories. 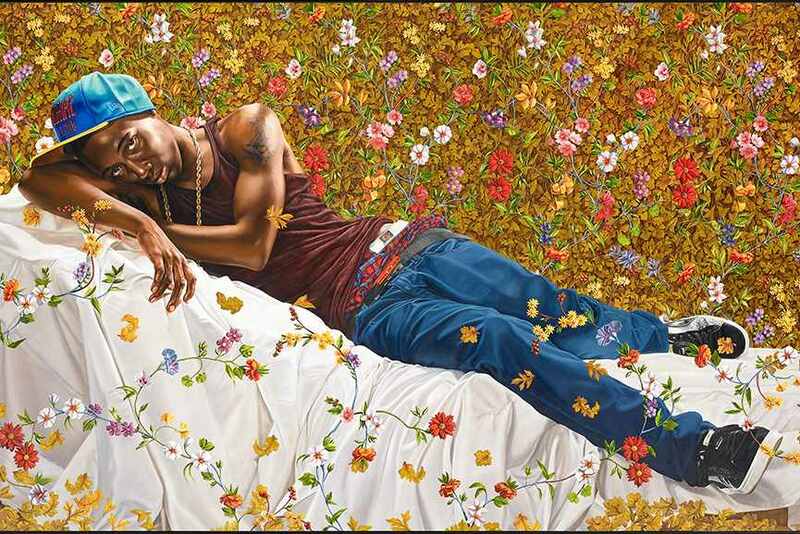 When you put it into words, it sounds very challenging to fuse body postures and compositions associated with classical art on one hand, and typical traits of the 21st century’s youth on the other. 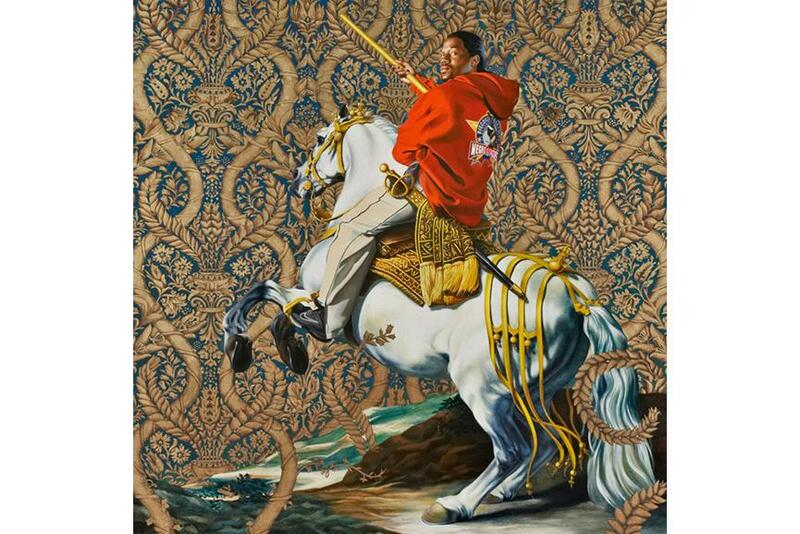 Kehinde Wiley has mastered this very unusual task, and developed an interesting way of representation that employs all the techniques learned from the traditional portraitists, but also depicts a set of themes and elements that relate to our modern lives. He usually makes very specific references to Old Masters paintings, with the intention to render them truly apparent and visible, and not to disguise them. 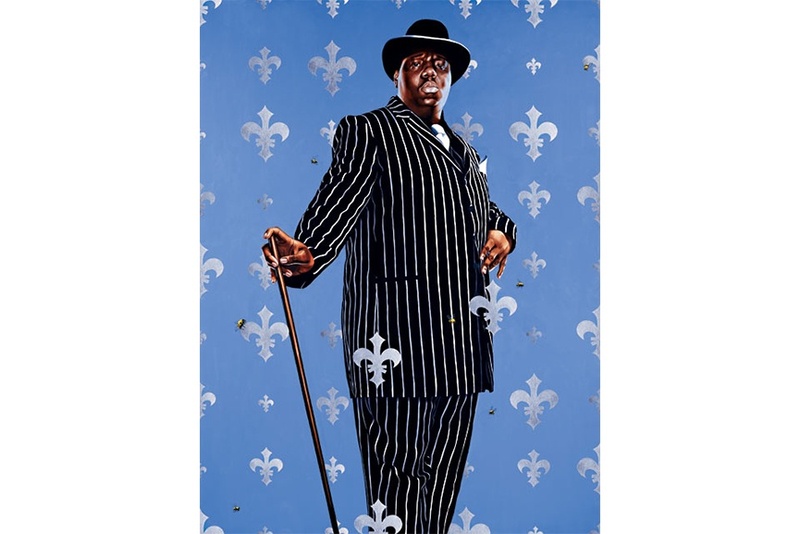 In Wiley’s works, both the ornamental patterns from the background and contemporary clothes of the people in the spotlight are shown with the same intensity of color and detail. The scenic patterns could easily fall under the category of baroque fashion or art nouveau decorations, whereas those other garments are either pieces of everyday casual clothes, like blue jeans, branded shirts and sneakers, or sometimes sports uniforms made out of synthetic materials. This is what makes the point of confusion more intense, and what also makes it hard to decide which one of these strong visual representatives is more dominant. 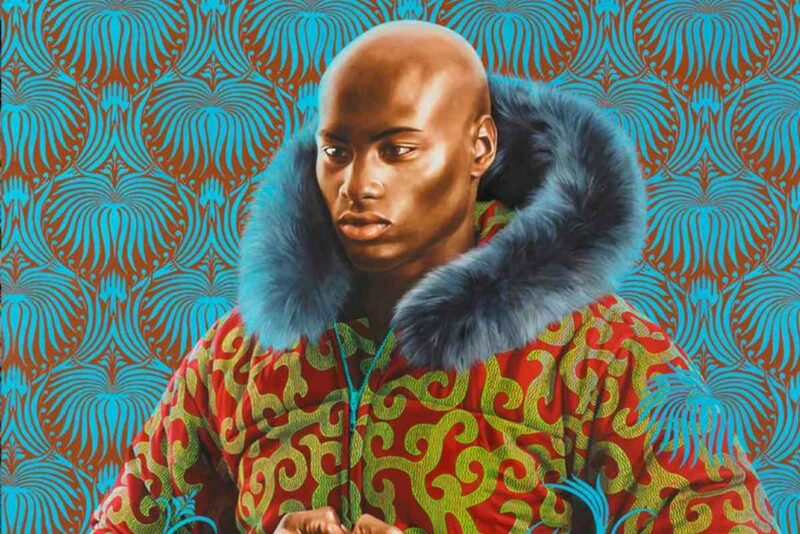 Is the painting, or the sculpture, about the traditional materials and modes of expression, or is it more concerned with the stories that these dark-skinned men and women have to tell? In any case, one thing is certain: no one is left unimpressed. The tattoos, the apparel and the way that these people carry themselves are captured with such genuine truthfulness, and proficiently adapted to the format of a naturalistic painting. It is completely mind-blowing how something that is almost comparable to urban culture and as realistic as photography is mashed up with the exaggerated ornaments and golden frames. 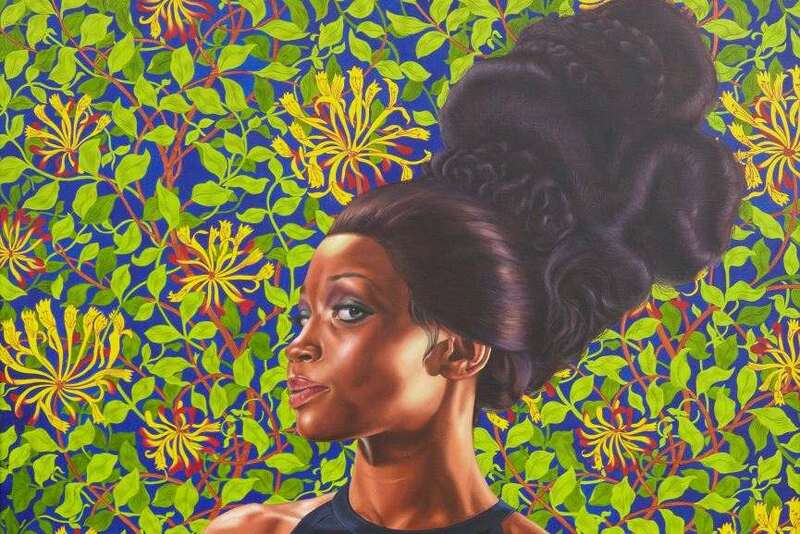 Although it may seem obvious that the artist’s works usually deal with the matters of race, sexuality and identity, which are all, more or less, the subjects that interest the society today, regarding them as just politically-engaged would be an understatement. 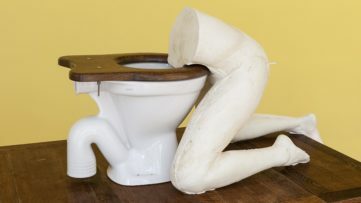 The titles of his shows and series do, however, evoke some implications that could become easily related to political matters and questions that go beyond the social and the anecdotal. 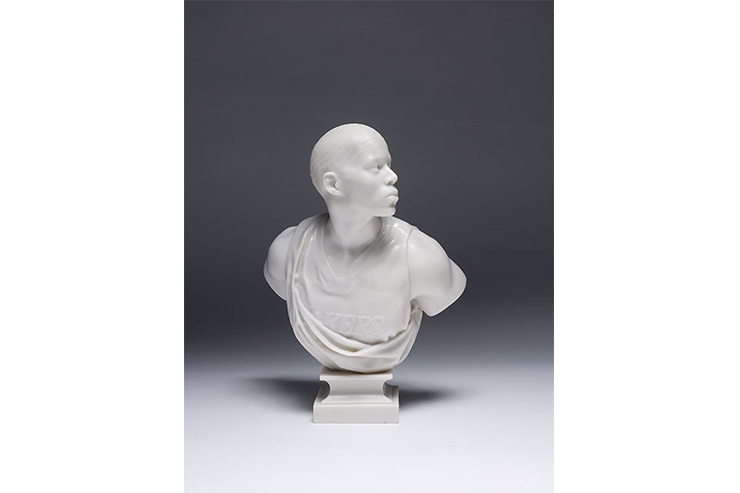 The World Stage, A New Republic, An Economy of Grace, are some of the names that suggest how these pieces have something to do with a change in the overall perception of the African-American culture. 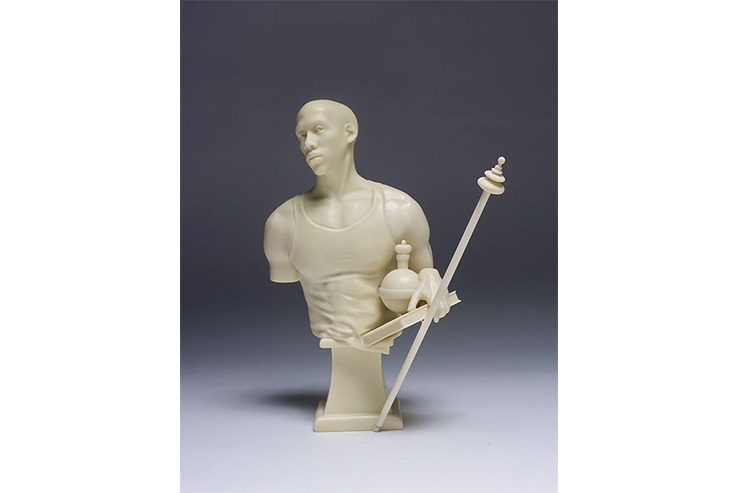 But since the images tell much more than the words themselves, it is better to take a good look at Wiley’s pieces and to witness his exceptional talent without too much preparation. The true meaning will start showing itself eventually. Artist’s notable collaborations, which include those with PUMA and Givenchy’s Ricardo Tisci, report on how well Wiley’s perspective on the world is received. And that doesn’t even come as a surprise in fact, since he may have found the perfect combination for success and recognition. If showing his diligence and dedication through the in-depth analysis of classical form, and sensing the nature of contemporary streams wasn’t enough, the emphasis on search for his own and for collective identity of a group was definitely on point. His latest series, A New Republic, has become really famous in a relatively short period of time. 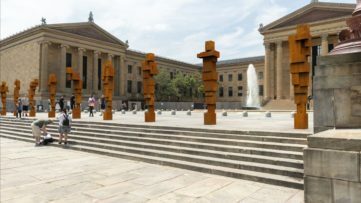 Beside paintings, that are perhaps most easily captured and displayed outside the gallery space (and therefore most recognizable), the series consists of sculptures, videos and even stained glass windows. The slightly larger-than-life scale of his sculptures, and here the keyword is slightly, makes them heroic and just right for the particular context of his bold line of works. 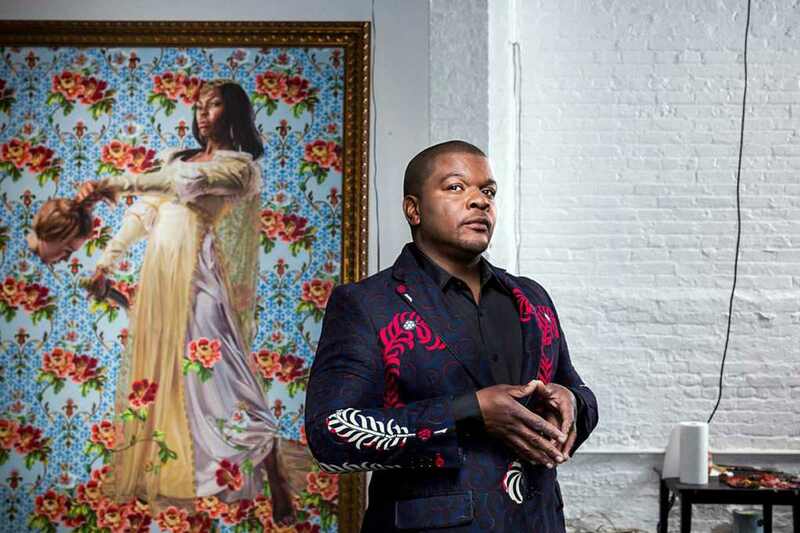 And to reflect on that context once again, Kehinde Wiley poses the controversial question – who owns the symbolic imagery of power? Read more about the exhibition, which will be on view at Seattle Art Museum through May 8th 2016, and in the meantime enjoy pictures of his astonishing and perplexing pieces of art here on Widewalls. 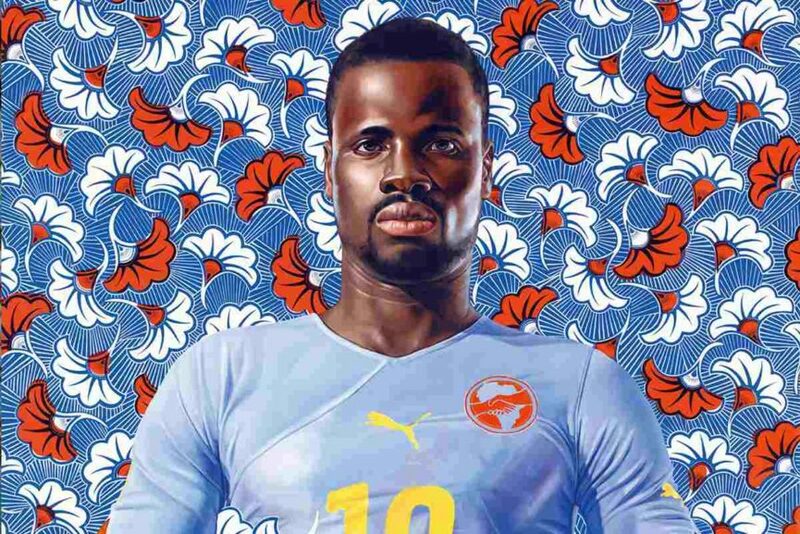 Featured images: Kehinde Wiley – portrait, source: Elumina Magazine; Kehinde Wiley for PUMA; Kehinde Wiley – Kern Alexander Study I, 2011. All images courtesy of the artist.